At Sumago Infotech we provide industrial training / Internship to BE, MCA, MCS and IT Students. We specialize in Mobile technologies e.g. Android, iOS and Web technologies HTML5 and PHP. At Sumago Infotech, We have the special infrastructure for internship students with mentors allocated. We provide placements to our interns. We have got 150+ recruiters who recruit from us. At Sumago Infotech we impart professional skills to our interns, so that they have a strong and smooth career start. We push our internship students to come up with innovative ideas, think out of the box and overcome challenges in the projects. 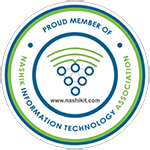 Internship at Sumago Infotech is a great learning experience. A dynamic professional with cutting edge development logics. Must have Certified Professional Web Developer. Minimum 6 months to 1-year experience. Must have sound knowledge of PHP, Java Script, Ajax, Jquery, My sqli. Preferably worked in E-Commerce domain. Preferably M.E., B.E., BCS, MCA with first class/distinction grade in degree. Must possess managerial skills, dedicated, committed. Static professional with stylish development. Must have Certified Professional Web Designer. Preferably worked on the live project. Static or Dynamic professional with cutting edge development logics. Must have Certified Professional ANDROID APP DEVELOPER. Must have sound knowledge of JAVA, SQLite and so on. Preferably Graduation with first class/distinction grade in degree. Must posses managerial skills, dedicated, committed. Minimum 6 months to 1 year experience. Preferably worked on live project.